His Imperial Majesty the Jianxiao Emperor has announced that he will tour the Dranian Federation, the first international trip for a reigning Emperor of the Yu Dyansty. This tour will also be the first visit to Dankuk by Indralan government officials since the 4260s. Key figures of the Dranian Federation will be meeting with the representatives of the State of Indrala throughout their visit. The below list is divided by the locations that are in the itinerary of the trip but should only be considered a tentative listing of all Dranian officials who will be present. Seongtaek Federal City, Dankuk: His Imperial Majesty, the Son of Heaven arrived in Seongtaek Federal City this evening by ship. The city, which serves as the legislative capital of the Dranian Federation received HIs Imperial Majesty with enthusiasm and profound excitement. 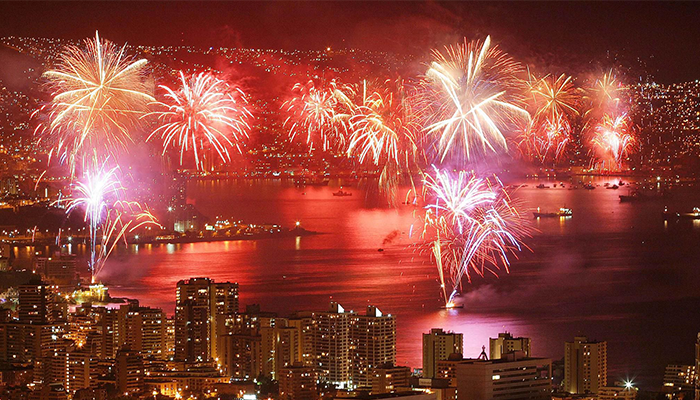 As soon as His Imperial Majesty disembarked from the Imperial Fleet, hundreds of fireworks erupted over the city's harbour having been launched from various boats stationed along the coastline. Tens of thousands of Dranians of all ages crowded the harbour to watch the historic arrival of His Imperial Majesty as he, along with members of the Imperial Clan and His Imperial Majesty's government set foot on Dranian soil. This is the first international trip ever taken by a reigning Emperor of Indrala, and the first trip taken by Indralan government officials to Dankuk since the 4260s. Thus, the atmosphere was fantastically jubilant as well-wishers waved the Indralan and Dranian flags side-by-side. The Son of Heaven and his travelling party subsequently embarked toward the iconic, waterfront Hotel Seongtaek in the Santa Sharika Historic Quarter, weaving their way through lined streets. The travelling party would spend the evening here, as they had arrived quite late. The following morning, the Son of Heaven travelled to the Federal Senate Building by veiled palanquin, where he was received by Premier Hana Pastora de Santiago who will be hosting the Imperial Clan as they tour the Federation. Here, the Emperor personally inducted the Premier into the Order of Friendship, an honour she had been bestowed in 4458, but had not yet officially received. Here, the Emperor also held an audience for various other members of the Premier's cabinet. The stop at the Federal Senate Building also provided an opportunity for Chief Minister Wei Jianxing and his cabinet to interact with their Dranian counterparts. Following the meeting with government officials, the Emperor and his travelling party subsequently toured Seongtaek National University, where His Imperial Majesty commended the modernization initiative undertaken by the Federalist Government. Speaking to his host, the Premier, the Emperor said: "Let the people be well read and wise, and so too shall be the nation." After spending one more night in Seongtaek, the Imperial Tour will be travelling onward toward the historic imperial capital of Gongmangdo. Seongtaek Federal City, Dankuk: The Minister of Defence, General Luo Guanyan has announced that Indrala and Dankuk have reached an extensive military agreement which will see the Imperial Armed Forces establishing two new military bases in the Valdor and Loren Provinces. "Today, with the Son of Heaven on Dranian soil, our two nations can truly march together on the flower path," said the General in a joint press conference with his Dranian counterpart, Alejandro Chung. "To this end, we are honoured to have reached an agreement with our Dranian brothers and sisters that will see our nations take an active interest in bilateral defence." While the agreement may seem sudden to many observers, General Luo says that discussions were occurring behind the scenes ever since the Dranian government signed legislation in 4458 closing the Vanukean military base in Loren. This base is the same base which will now be housing one-third of the Imperial Armed Forces Northern Dovani Command. "The existing infrastructure was very appealing to the Imperial Armed Forces from a financial perspective," said General Luo. "Aside from renovations, the establishment costs of this base will be significantly lower than building a new base." That said, the most significant part of the agreement was the announcement that the Imperial Armed Forces will be constructing a new military base in the Valdor Province, north of the city of Ponte Iglesias. General Luo says that the massive base will serve as a regional training hub for the Indralan, Dranian and other allied militaries. The basing agreement will come at a "substantial long-term cost" to the Indralan government, though the exact figures are yet to be announced. 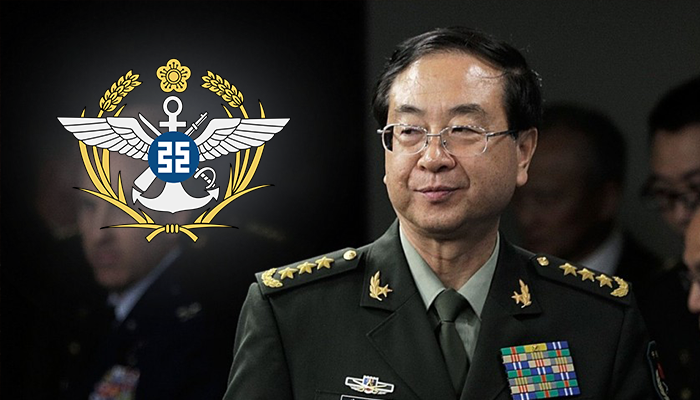 General Luo has said that much of the funding for the new military bases will be derived from the IAFI Modernization Program which maintains a large surplus balance. The exact treaty and legislation is expected to be ratified by the Dranian Senate and Indralan Grand Assembly in the coming year. Gongmangdo Federal City, Dankuk: Due to unexpected transportation delays regarding the Son of Heaven's caravan, the travelling party did not arrive in Gongmangdo until late in the evening. 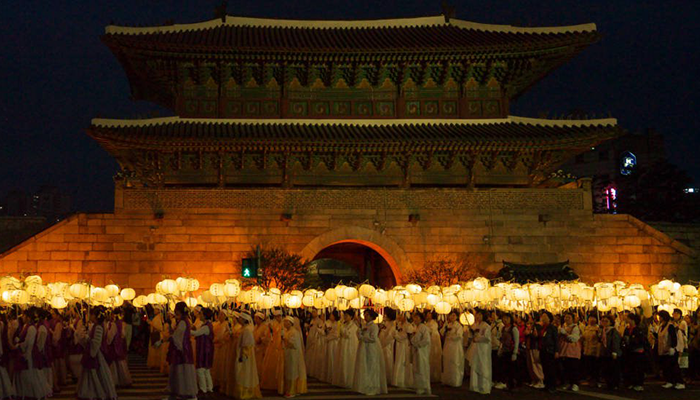 Nonetheless, the Jianxiao Emperor's Dranian hosts were happy to receive the imperial clan with thousands of Dranians, dressed in their best Kyobok, illuminating the Gongmangdo City Gate with the glow of their lanterns. After riding through the city's main boulevard, the Jianxiao Emperor arrived at the historic Beonyeongsalm Palace. Here, the Emperor met with his distant relatives in the House of Ryeo, including Ryeo Jiwoo who has recently been coronated as King Jiwoo of the Kyo following the passage of the Dranian Federation's new constitution. The Son of Heaven and his relatives spent the night at the Beonyeongsalm Palace Guest House. The following morning, the Jianxiao Emperor reflected on the symbolism of the visit to Beonyeongsalm Palace. "It's deeply moving to be walking on the same bricks which my Great-Grandmother walked on as a child," the Son of Heaven said. "My heart feels profound pain when I contemplate on the sufferings of my ancestors, and of so many people in this nation." The Jianxiao Emperor subsequently toured the prestigious educational institutions of Gongmangdo before departing to Port Rhynach, the seat of the Dranian Federation's Council of Federal Unity. Gongmangdo Federal City, Dankuk: Indrala's Chief Minister and Dankuk's Premier concluded formal negotiations for a free trade agreement today, to be known as Indrala-Dankuk Trade and Cooperation Agreement (IDTCA). Negotiation on the IDTCA began in October 4462, when Premier de Pastora visited Indrala. In a joint press conference at the main quad of Gongmangdo University, Chief Minister Wei Jianxing lauded the agreement as, "the most comprehensive economic, social and cultural partnership in the history of the bilateral relationship between Dankuk and Indrala." While the agreement contains all of the hallmarks of traditional Indralan free-trade agreements, the IDTCA includes provisions for greater cultural and academic exchange between the two nations. Contrasting this development with just three decades ago, when trade between the two nations was outlawed by the Dankuk Act, we can begin to understand the unifying and pacifying influence of His Imperial Majesty. May the Emperor live and reign for ten thousand years! Port Rhynach Federal City, Dankuk: Similar to the jubilant celebrations marking the Emperor's arrival to Seongtaek and Gongmangdo, the city of Port Rhynach eagerly and warmly welcomed His Imperial Majesty to their city. Spontaneous public parties marked by massive dragon dances, lantern lightings and live music erupted throughout the snaking alleys and streets of the ancient Federal Council Capital city, as the Son of Heaven and his retinue travelled from south of the city toward the Federal Estate, official residence of the Dranian head of state, Federal Chairman Sun Seo-hyun. Sun, 46, is coincidentally married to His Imperial Majesty's niece, the Lady Byeon Jialin, 48. While the Emperor held an audience for members of the Federal Council for Unity, the Chief Minister and members of the Indralan Cabinet discussions with their Dranian counterparts on expanding the relationship between our two nations. Speaking with the Federal Council for Unity, the Emperor praised the city of Port Rhynach on its multicultural nature and evident equality, and requested to speak with the Mayor of Port Rhynach. Mayor Alwyn Lloyd responded to the request, travelling to the Federal Estate within the hour. In the audience with Mayor Lloyd, the Emperor inquired as to how Port Rhynach came to be so harmonious to which the Mayor responded, "by listening to the people and embracing their concerns as my own, your Imperial Majesty." The Emperor was very pleased with this response which echoed his first Maxim of Governance, as decreed in 4444. The Emperor responded, "Indeed, it is local officials who are closest to the people." The Emperor ended the audience by gifting Mayor Lloyd a fur coat and other winter clothes. Hearing the Emperor's words, Chief Minister Wei and Premier de Santiago are said to be working closely together to see how they can match his teachings through policy. The Emperor, his retinue and relatives will be departing to Iglesia Mayor via high-speed rail in the morning. This marks the first time an Emperor of Indrala will be using such a method of transportation. The Emperor is expected to stop along the train line at various agricultural communities in the Valdor Province along the way. 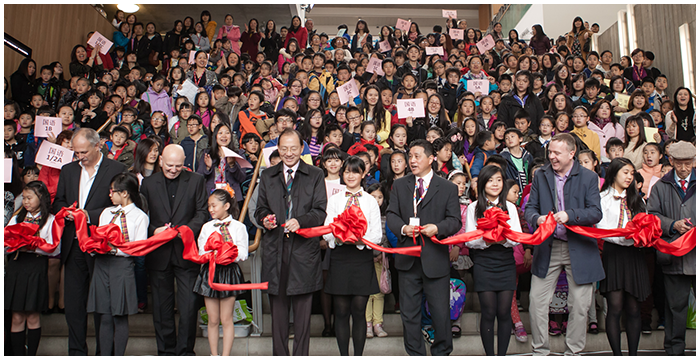 Port Rhynach Federal City, Dankuk: Education and Culture Minister He Meixuan, along with Kaizhou National University Dean Gao Chuanbao attended a ribbon cutting ceremony for the new Kaizhou National University Primary School in central Port Rhynach. The school, which will be funded by the local education authority and run as a free school by KNU, will be an Indrala-style institution which will also serve to train future Dranian teachers. In combination with the national curriculum of the Dranian Federation, the school will also teach Indralan-language skills, the study of Jienist classics and other uniquely Indralan characteristics. Speaking to media, Dranian and Indralan officials praised the school as a major development in strengthening the unity of the people of the two nations. Specifically, Minister He Meixuan praised the connections that will be made between young Indralans and Dranians which will "ensure an ever-lasting peace." Minister He Meixuan also announced that the Lotus Party minority government will be putting forward legislation to expand the Indralan National Scholarship Fund to sponsor 25,000 Dranian students to study at post-secondary institutions in Indrala, hoping to take some strain off the burgeoning and fiscally-constricted Dranian university system. "When our young people learn and grow together, they will begin to understand each other," said Minister He, "and understanding is the key to trust, peace and friendship." ↳ While the Emperor and his immediate relatives spent the time in the Elbian Province in Gongmangdo Federal City, a number of Imperial Clan relatives travelled to Soleunggo. In that city, fifteen-year old Prince Luyi specifically was the subject of great public attention with many Dranian observers praising his handsome and unique appearance, as well as his open and friendly personality, contrasting with the stoic and unexpressive nature traditionally expected of members of the Imperial Clan. ↳ Before leaving Beonyeongsalm Palace with the Jianxiao Emperor, Empress Meixing ordered one of her aids to deliver a hand-embroidered silk scarf, along with premium teas and Indralan medicinal ingredients to Dranian Premier Hana Pastora de Santiago. Attached to the personal and intimate gift was a simple note which read, "this has been a cold winter. Stay warm." ↳ Son of Crown Prince Yunzhe, Prince Huachen spent his time at Beonyeongsalm Palace by personally planting a pine tree. The tree had been grown from a sapling acquired at the Imperial Clan's Huzheng Lake property, a garden which had been a favourite of Princess Kyunghee, the Emperor's great-grandmother who had been raised at the Palace, before her family was forced to leave Dankuk due to a bloody coup perpetrated by the Hwangje family. Iglesia Mayor Federal City, Dankuk: The Son of Heaven and the Imperial Retinue shot across the Dranian peninsula via high-speed rail from Port Rhynach to Iglesia Mayor, the judicial capital of the Dranian Federation. The travelling party stopped off once in a village in Magadonia Province. 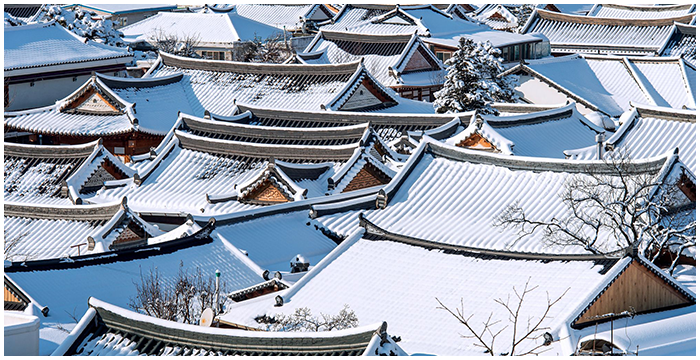 Enchanted by the snow-covered giwa roofs of the northern farming village, the Jianxiao Emperor and Empress Meixing walked around the village before stopping to watch local children play in the snow. "The environment no doubt demands that the people of this village work very hard to get by," the Jianxiao Emperor remarked. "That the children are able to play is a testament to the cultivation and determination of their parents." The Emperor also spoke with a local sheep farmer, and surprised all observers and those within the Imperial Retinue with his extensive knowledge of animal husbandry. The Son of Heaven provided the farmer with on-the-spot guidance on sheering methods, while commending him for his strong commitment to the welfare of his animals. The Emperor did not announce his stop in the village, and ordered tea to be distributed to each of the 66 houses in the village upon his departure. The landscape of northern landscape of the Magadonia Province captivated the Son of Heaven and those in his retinue. Specifically, many members of the Imperial Clan have not seen snow before this tour and found the weather of Northern Dankuk to be quite the spectacle. "Magadonia has had a lasting effect," said the Jianxiao Emperor to an aide. "This is a special place." The Son of Heaven and the Imperial Retinue arrived at the Iglesia Mayor Central Station in the early morning. Thousands of well-wishers packed the historic building, waving the Dranian and Indralan flags side-by-side. As the Emperor disembarked from the train, the onlookers were shocked when a small girl ran directly in front of the Son of Heaven, breaching the stringent security lines established by MSS Agents and Dranian Secret Service members alike. The young girl immediately prostrated before the Emperor and offered him a mugunghwa flower. Perhaps even more surprising to the onlookers, the Emperor crouched down to personally receive the flower, before asking her about her name and age. Empress Meixing held her hand as they walked through the station, before meeting with the girl's parents who had tried to run through the crowd to stop their daughter to no avail. The Empress chuckled as the girl's parents prostrated before her in shame, handing over the girl to her parents. "You've raised an inquisitive and brave young child," the Empress said. "This is nothing to apologize for." The Empress ordered her aids to provide the family with winter clothing, and the child with books and scholastic materials. In Iglesia Mayor, the Emperor held a final audience with Premier Hana Pastora de Santiago, as well as Federal Chairman Sun Seohyun. The Son of Heaven thanked the two officials for their hospitality during the tour. 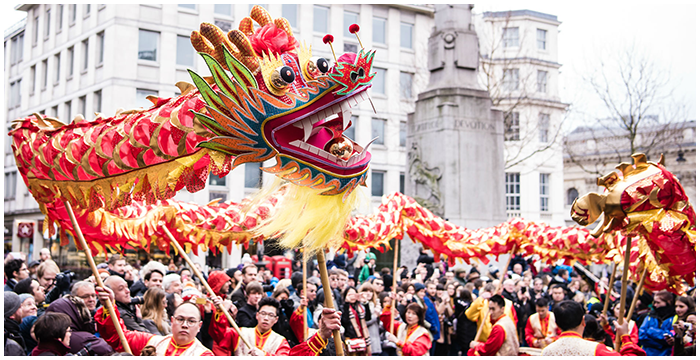 The Jianxiao Emperor also held an audience for the Mayor of Iglesia Mayor and the King of the Dranianos, Enrique. Following the formalities, the Imperial Retinue travelled to the historic Baekgu Hotel in the heart of the city, where they will stay for their final night in the Dranian Federation. Pyeongreo, Magadonia, Dankuk: Ministry of Defence developers, researchers and analysts, along with their private sector counterparts were invited by the Dranian Armed Forces to research and inspect the numerous state-of-the-art reconnaissance submarines and fighter jets supplied to the oppressive Hwangje regime of Dankuk by the Kingdom of Vanuku. This comes as the Ministry of Defence continues to rapidly modernize the Imperial Armed Forces, while seeking to expand the domestic defence industry. In a unique display of bilateral friendship and cooperation, the Dranian Armed Forces has agreed to loan 4 of their Z-35 multirole fighter jets to the Ministry of Defence for research and analysis. The Minister of Defence, General Luo Guanyan, ret., announced the agreement saying that it is proof that "the strong relationship between the Dranian and Indralan peoples transcends past political divisions." 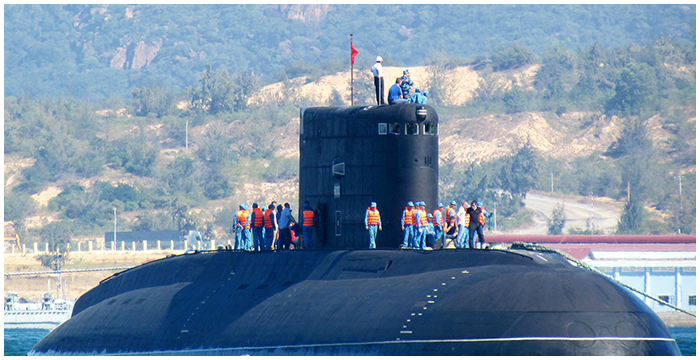 Additionally, the Dranian Armed Forces has agreed to loan one of their submarines to the Ministry of Defence. The boat will be sailed to the Lanshui shipyard in Lanbao, Min Province, where it will be throughly studied. 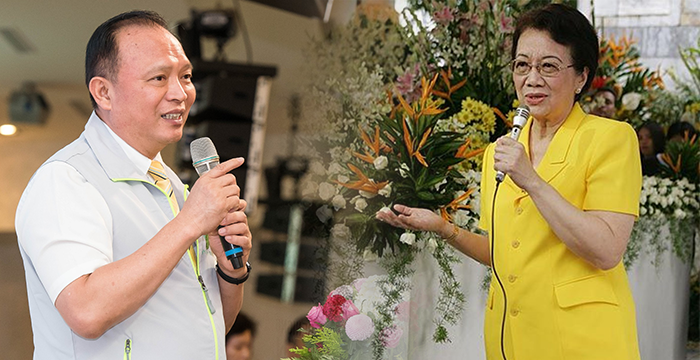 ↳ Inspired by the Jianxiao Emperor's audience with Port Rhysnach Mayor Alwyn Lloyd, Chief Minister Wei Jianxing and Dranian Premier Hana Pastora de Santiago have announced that they will be co-founding a non-governmental organization. The organization, known as the Council of Localities for International Cooperation, or CLIC, is designed to encourage stronger international relations between different local governments. 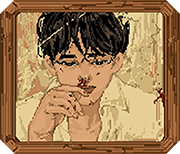 ↳ Observing the beautiful and diverse scenery of Dankuk's northernmost Magadonia Province, the Jianxiao Emperor asked his brother, Prince Jianhao, to look into acquiring property in the region. The Prince was notified of a stunning property on the coast south of the city of Pyeongryeo, which he travelled to and summarily placed an offer on behalf of the Imperial Clan, which was accepted by the sellers within three hours. The property, known as the "Yeon-an Jang-won" or "Coastal Manor" was purchased using the Imperial Clan's private funds and as such comes to no expense to Indralan taxpayers. Tian'an, Han, Indrala: The Son of Heaven has returned to Indrala following his extensive and historic tour of Dankuk. The Emperor and his Imperial Retinue departed from Dankuk by ship on February 8th. The city of Iglesia Mayor bid farewell to His Imperial Majesty with an impressive display of fireworks, confetti and performances. 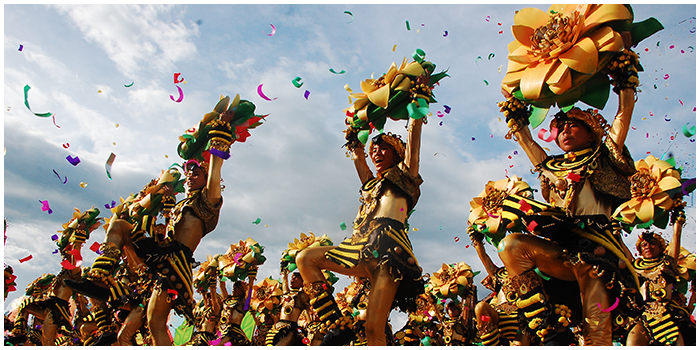 Representatives of the Draniano community dedicated a flower dance to the Emperor, with all flowers opening to the direction of His Imperial Majesty. Dranian Premier Hana Pastora de Santiago tearfully parted with her Imperial Clan liaison . in public; a testament to the close bilateral relationship fostered by the trip. The Emperor is said to have been deeply affected by the trip, his first time out of the State of Indrala since his coronation. Nonetheless, the people of Indrala are at peace to know that once more the Son of Heaven walks on domestic soil.